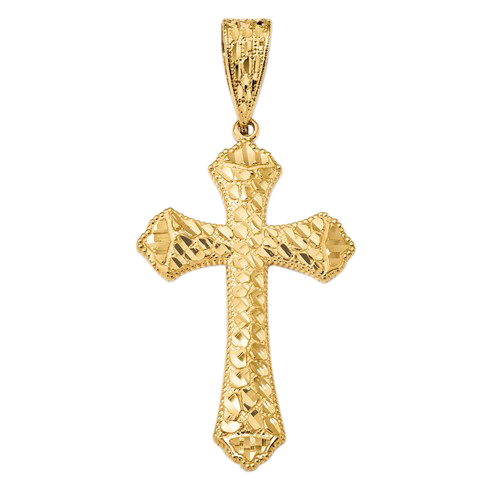 14k Gold with Rhodium swirl design budded cross pendant. Feminine design cross measures 30.6mm in length by 20.4mm across. Cross features a textured and polished finish. 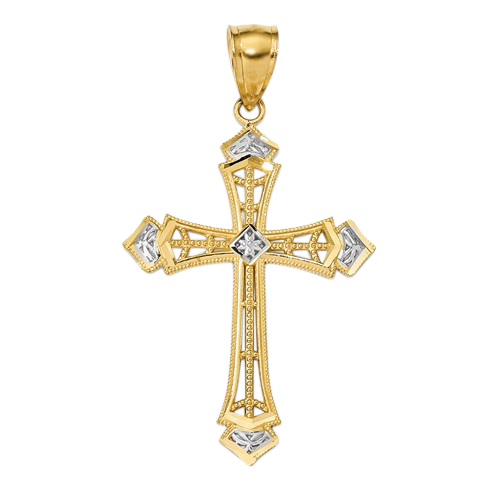 14k Gold with Rhodium accents Cross pendant. This open design cross is fairly large measuring 41.55mm in length by 23.4mm across. 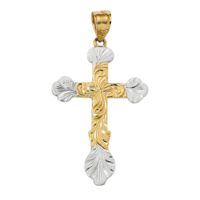 Gorgeous 14k Gold large nugget center cross pendant. 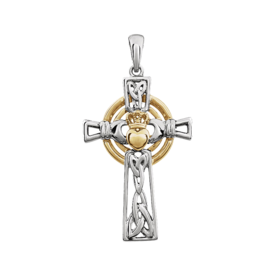 This cross features a textured background with polished nugget center cross and polished border design. Cross measures 57mm before the bail, 65mm with the bail by 38.5mm across. Handsome large gold cross weighs about 13.7grams with a flat polished back. You won't be disappointed with this large cross. Order in 14k yellow or white gold. 14k Diamond Cut Budded Cross Pendant. Cross is very large at 42.65mm in length by 27.4mm across before the bail, add the bail and the length is 57.65mm. 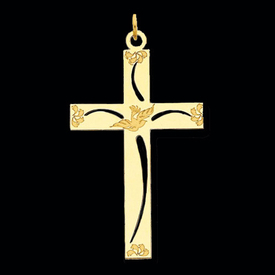 This gold cross weighs about 4.3 grams. You'll be able to fit a pretty large chain with this cross the inside bail width is 6.3mm and length 14.25mm. 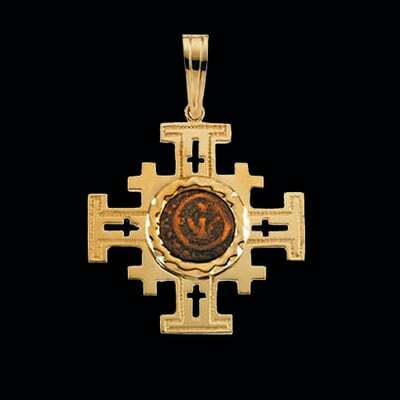 A beautiful symbol of faith and devotion. 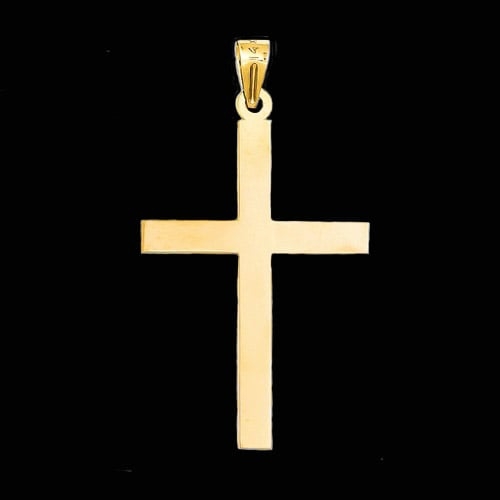 14k Gold squared design large cross pendant. This cross pendant measures 30mm in length by 24mm across. Cross weighs 7.46 grams, very nice cross. 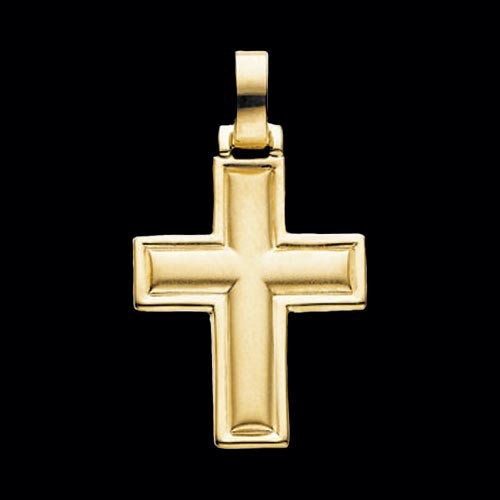 Simple 14kt Yellow gold cross pendant. Cross measures 38mm in length by 18mm across. Back of this cross is flat and satin finished. 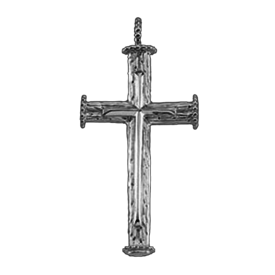 This cross features a polished finish on the front side. 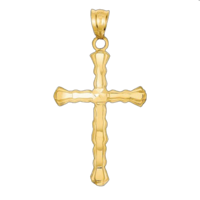 Bold 14k Yellow gold Latin nugget design cross pendant. This large cross features a bark and nugget style and measures an incredible 62mm (with bail) about 52mm before the bail by 36mm across. Cross has an open back and average weight is 8.99grams. 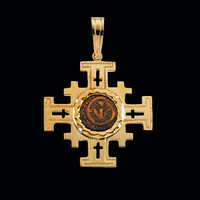 The Latin cross is one of the oldest forms of the cross. 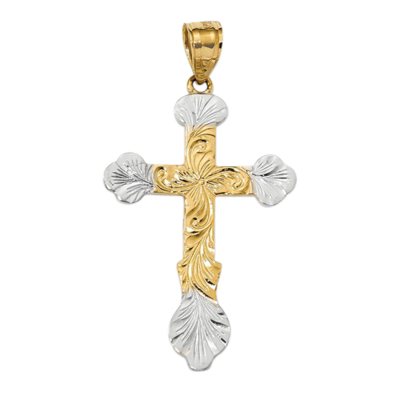 Beautiful 14K Yellow, White Gold, or Platinum Cross is a Large Solid cross. Measures 38mm x 26mm. Keep in mind 25mm = 1 inch. Cross weighs 3.72 grams. 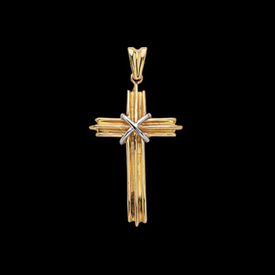 If a Bold Solid Gold or Platinum cross is what you are looking for, this would be an Excellent selection. 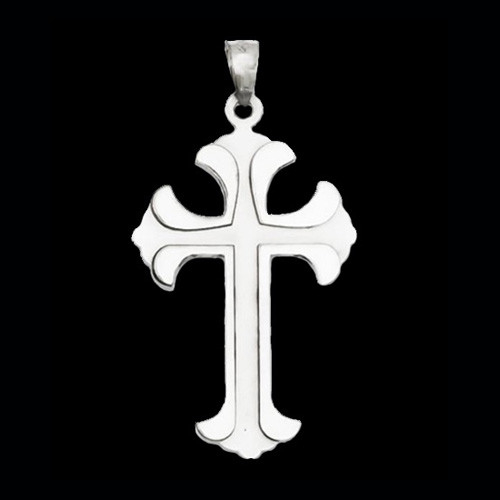 Our platinum cross pendants are made with 950 platinum. 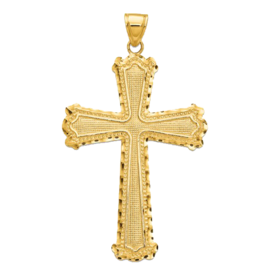 Symbolic 14k Yellow gold Jerusalem Cross pendant with a Widow's Mite coin center. 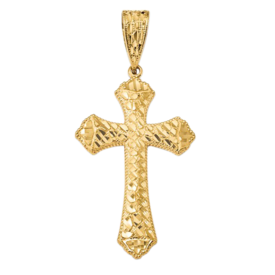 This beautiful cross measures 31.25mm by 31.75mm and weighs a substantial 7 grams. The Widow's Mite coin is genuine and comes with a Certificate of Authenticity. The widow's mite is an excavated coin used in first century Palestine. Coin was made famous by Jesus in Luke 21:1-4. 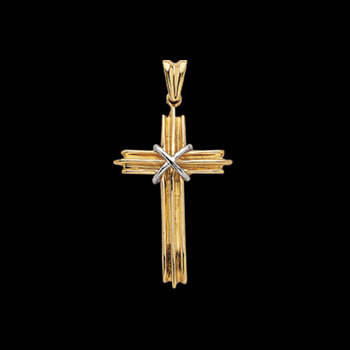 You'll love this lovely symbol of your faith. 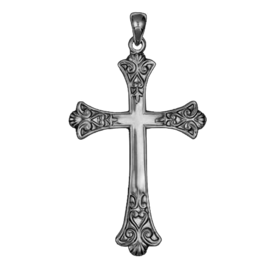 Great 14k white gold large Fleur De Lis cross pendant. This stylish cross features a polished front and satin flat back. Cross measures 35mm in length by 20mm across. You'll love this cross design, perfect for anytime wear. 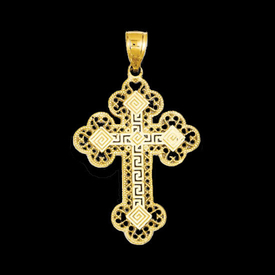 Attractive 14k two tone gold grooved design cross pendant. 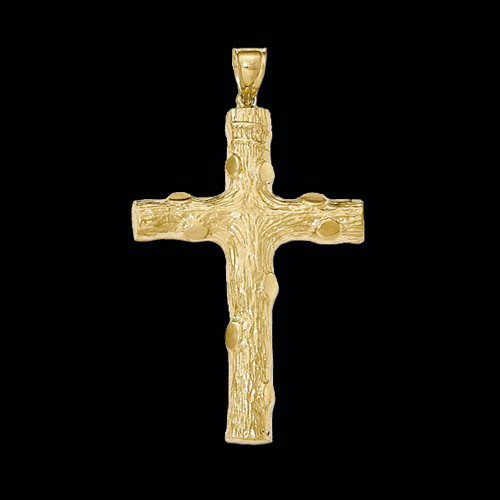 This large cross measures 38.75mm in length by 23.25mm across. Cross weighs a nice 8.46grams. 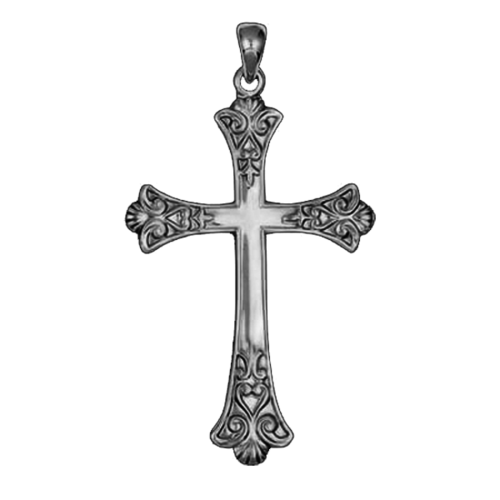 This cross is also available in 14k White gold. Serene 14k yellow gold laser designed cross pendant. This cross measures 39mm top to bottom including bail by 21mm across. The dove and floral design are laser etched inth the polished finish. Back of this cross is also polished. A unique cross style. 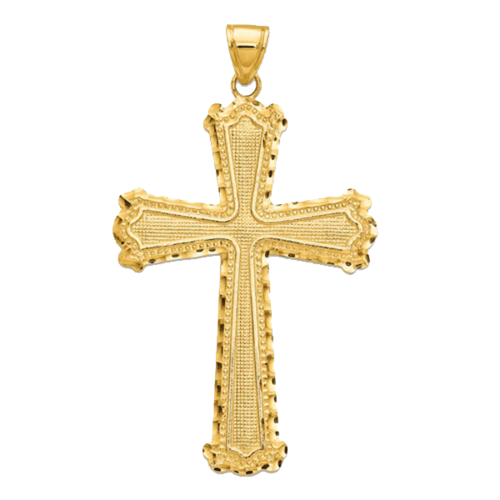 14k Gold Budded Greek cross pendant. 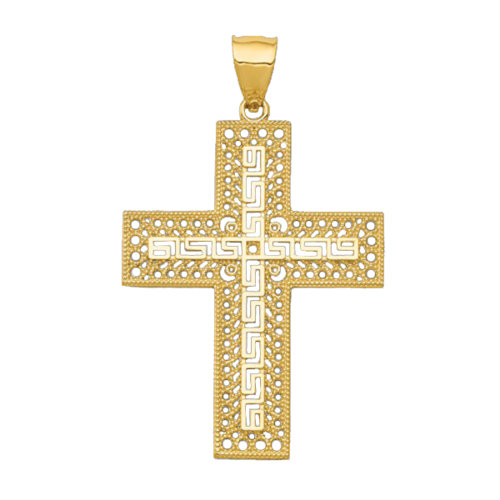 Ornate cross features a beaded and filigree border around a Greek Key polished center. Satin polish finishes the filigree part of the cross. Large cross measures 44mm in length including bail by 25m across. Flashy 14k yellow gold diamond cut design cross pendant. This large cross has it all, a mesh inset with a beaded border then to finish a beautiful diamond cut border. Cross pendant measures 38mm in length by 27mm across before the bail. With the bail this cross is 44mm in length. 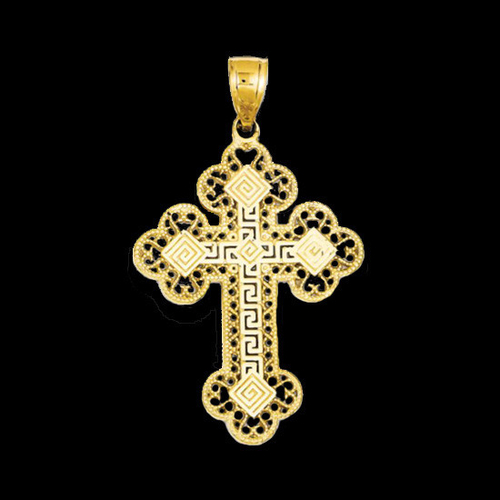 14k yellow Filigree Greek key style cross pendant. Gram weight 3.02grams. 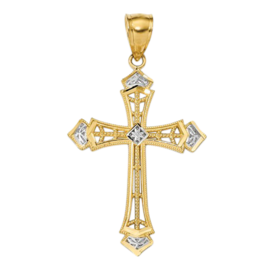 Fancy 14k yellow gold diamond cut cross pendant. Indulge yourself with this cross pendant measuring 28mm in length by 18mm across. With the bail this cross is 36mm in length. 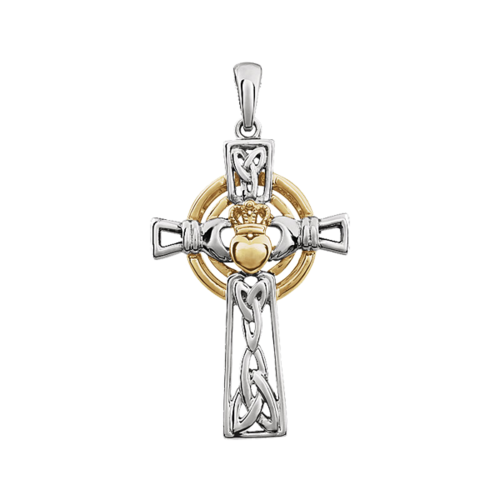 Part of our Latin cross collection, the Latin cross is one of the oldest forms of the cross and also the form of the true cross. This delightful design weighs 1.75grams has an open back and satin finish on the back. It's a casted cross and the diamond cut front is polished.